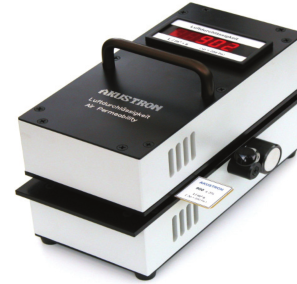 This unit measures the air permeability of filter papers, nonwovens and textile fabrics within seconds. Easily transportable, this unit is ideal for monitoring material on the production line, inspecting incoming material on-site and on-going quality control in the lab. Automated testing ensures there are no user related variables. The sample is inserted into the slot, and the lever is pulled forward. This clamps the sample and begins the testing automatically. The measurement is completed in about 3 seconds, and results are shown immediately on the integrated digital display. An RS-232 interface is able to send the test data directly to a PC. Applications include: Nonwovens, Filter Paper, Textiles, Webbed materials. 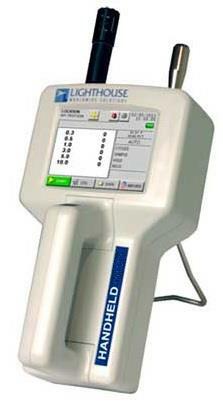 The Handheld 3016 particle counter features 0.5µm sensitivity and is the most advanced handheld particle counter on the market. Providing up to 6 particle size channels of simultaneous counting, it can display cumulative and differential particle count data as well as Temperature/Relative Humidity data on the fast and easy to read colour touch screen. The EK5 Series kits make job task analysis and ergonomics analysis simple and accurate. Ideal for workplace design, strength assessment and ergonomic studies. These kits present the ergonomist and other professionals with a simple testing solution.